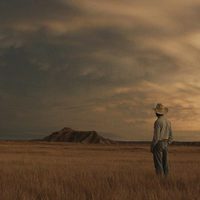 Chloé Zhao's new film 'The Rider' is an emotional and heartbreaking drama that he won at the 2017 Cannes Film Festival, the Directors' Fortnight award, and also had four nominations at the Independent Spirit Awards of 2018. 'The Rider' tells the story inspired by real events of Brady, who was one of the stars of the rodeo and a talented horse trainer, suffers an accident that makes him unable to ride again. When he returns home he realizes that all he wants to do is ride a horse and participate in rodeos, which frustrates him a lot. In an attempt to regain control of his life, Brady embarks on a journey in search of a new identity and the meaning of what it is to be a man in the heart of America. 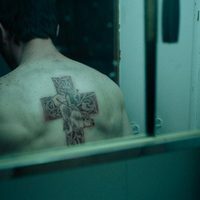 Write your own 'The Rider' review. The character Brady Blackburn is based on actor Brady Jandreau, who suffered the kind of head injury shown in the film after all fall from a horse. 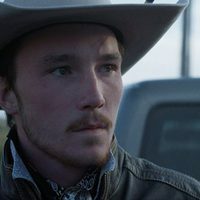 Writer and director Chloé Zhao first met Brady Jandreau during her research for her earlier film Songs My Brothers Taught Me (2015). She visited the ranch where Jandreau was working and he was teaching her how to ride a horse. She wanted put him in one of films, and when he had the accident that left him with life changing head injuries, she decided to base the script for her next film on his story.